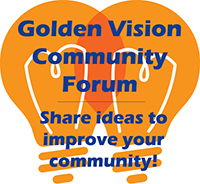 The city is providing several opportunities for Golden residents to get the latest information about transportation developments, and to participate in the City’s transportation planning process. To kick off the discussion, the Golden City Council will hear from transportation officials at the City Council meeting on Thursday, Sept. 13. The conversation will highlight the challenges and concerns related to transporation projects in Colorado, our region and here in Golden. The idea is to provide important broad context about the insufficient funds on federal, state, and local levels, to fund transportation needs in Golden and throughout the state. Tax increases are always a tough sell, especially at the state level, and Coloradans are likely to be less receptive than ever to tax increases during this challenging economic period. One alternative to taxes that remains a constant presence on the shortlist of transportation funding options is tolls, which have underwritten the costs of E-470 and the Northwest Parkway and would provide at least some funding for the proposed Jefferson Parkway. A variation of toll roads is “managed lanes,” specific lanes within a highway available to those who want to bypass traffic, often in exchange for paying a toll. Managed lanes provide a hybrid of tolled lanes and free lanes. These options will be discussed in more detail at the Council meeting on September 13. Residents are encouraged to attend this session at 7 p.m. in Council Chambers, 911 10th St. The meeting will also be broadcast live on Comcast Channel 8 in Golden, and a webcast will be available at www.cityofgolden.net. Golden residents are also encouraged to attend one of two open houses on the City’s transportation plan. The open houses will take place between 5:30 and 8 p.m.; residents may arrive at any time within that window, as there is no formal presentation, just conversation. This is an opportunity for citizens to also provide comments. Monday, September 24 at Fossil Trace Golf Club, 3050 Illinois St.
Wednesday, September 26 at the Golden Community Center, 1470 10th St. If you can’t make the open houses, the City will also hold an interactive web presentation. It will take place online at 3 p.m. on Monday, October 1. You will be able to find a link for this webinar on the homepage of www.GetTheFactsGolden.org, which remains the online hub for information about Golden’s transportation planning and related developments.